I might be wrong here, but I’m assuming that you are here reading this article because you are curious about the benefits of fish oil pills? Hopefully I’ll be able to share something of value with you in the paragraphs that follow. 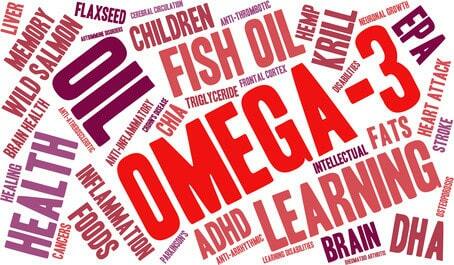 Fish oil supplements are incredibly popular these days. In fact, they are probably the most popular supplements on the market, and obviously there must be a good reason for this, right? The reason for their popularity is simple: Fish oil is a remarkably good source of Omega 3 essential fatty acids, and these play a crucial role in terms of overall health. Unfortunately the human body cannot produce its own Omega 3 fatty acids, and they are only found in a limited number of foods, and even then, they are only present in small amounts. Certain types of oily fish are the only credible source of these all-important fatty acids. Omega 3 rich fish would include species like salmon; tuna; mackerel; sardines, and etc. Before I continue, I just want to point out that while the above list of benefits are widely reported by people all over the world, the FDA (Food and Drug Administration) does not endorse all of them. In fact, the only benefit listed above that has FDA backing, is the one which pertains to heart health. A tremendous amount of scientific proof must be available before the FDA will endorse any health claims relating to foods and/or other nutritional products. Scientific studies and countless clinical trials have now proven beyond all doubt that the high levels of EPA (eicosapentaenoic acid) and DHA (docosahexaenoic acid) omega-3 fatty acids found in fish oil can substantially reduce the risk of coronary heart disease. Some people and some organization argue that there is not yet enough scientific evidence to prove that fish oil can improve ones cholesterol status. However, there are also many studies and reports that highlight the cholesterol-fighting properties of fish oil. Numerous studies have shown that fish oil does in fact raise LDL cholesterol, and sometimes the rise is quite significant. However the rise which is seen is only seen in a “measured” reading, which is essentially not very accurate at all because LDL readings are meant to be “calculated” readings. Its all quite complicated and confusing so I won’t go into that right now. What I will point out though, is that increasing fish oil intake can substantially reduce triglycerides, the stroke-causing type of cholesterol found in our blood. When people are given medication to reduce their cholesterol, they are being given medication to reduce triglycerides. If fish oil can reduce triglycerides as well, then my common sense tells me it must be doing some good in helping to control unhealthy cholesterol levels. There is now a considerable amount of evidence supporting claims that fish oil can reduce the pain and severity of several joint related health problems. There is also growing evidence to support claims that the risk of developing joint problems in later life can be significantly reduced by including more omega 3 fatty acids in your diet. Just recently there was an article published on the Mayo clinic website which stated that a regular intake of high quality fish oil supplements can effectively reduce stiffness and tenderness in joints within as little as three months. Even if these benefits have not yet received FDA backing, it’s worth keeping in mind that real people like you and I, are in fact witnessing these benefits in their own personal lives. Fish oil supplements might not be a magic bullet capable of curing every disease known to man, but they can certainly help people to maintain a healthy lifestyle. The amount of people who have seen results firsthand and the growing amount of evidence supporting the benefits of fish oil is quite simply overwhelming.